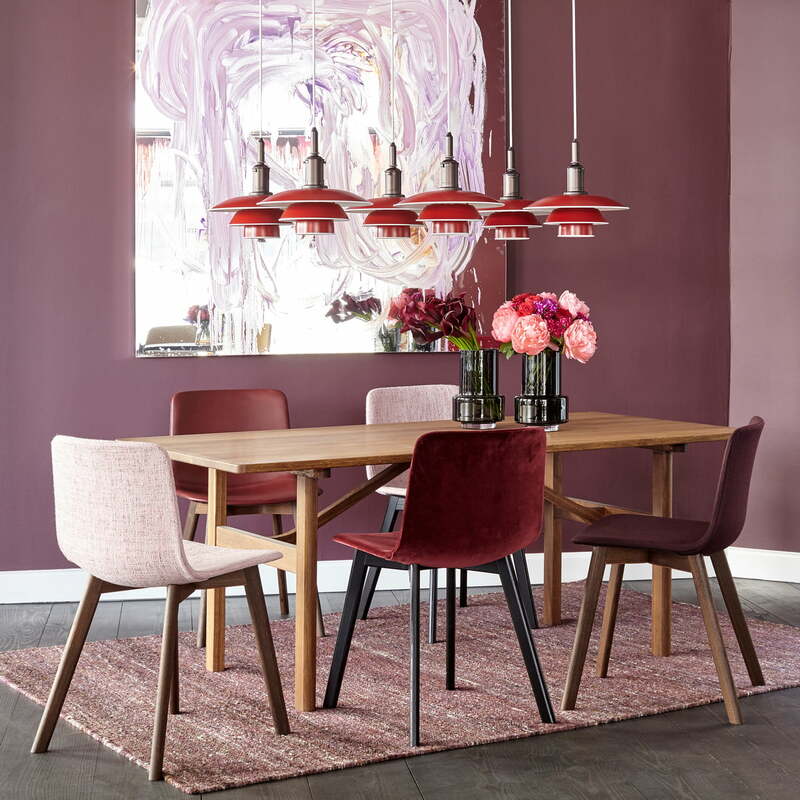 The company Fredericia, which is usually specialized in traditional handicraft work, turned to modern technology to manufacture the Pato chair (veneer / wood). With the help of a 3D press, the seat shell out of oak veneer is shaped so that it is particularly ergonomic for the human back. Thanks to this mode of production, the products of classic craftsmanship are being given new shapes, combining aesthetics and function in a special way. The characteristic seat shell is extremely comfortable with beveled edges and a certain degree of flexibility in the backrest. The manufacturing process also creates a smooth and shiny surface, which is not only resistant to scratches, but also makes for an attractive finish. While the shell is rather flat, the narrow, wooden legs are harmoniously contrasted. Together, both components create an overall balanced composition. With a great deal of patience and know-how, Welling & Ludvik, the designers of Fredericia, have developed a chair which, due to its minimalistic design, integrates into every style of furnishing. Whether as an office chair, at the dining table or in public facilities, the Pato Chair (veneer / wood ) serves its purpose and convinces with its unobtrusive appearance. 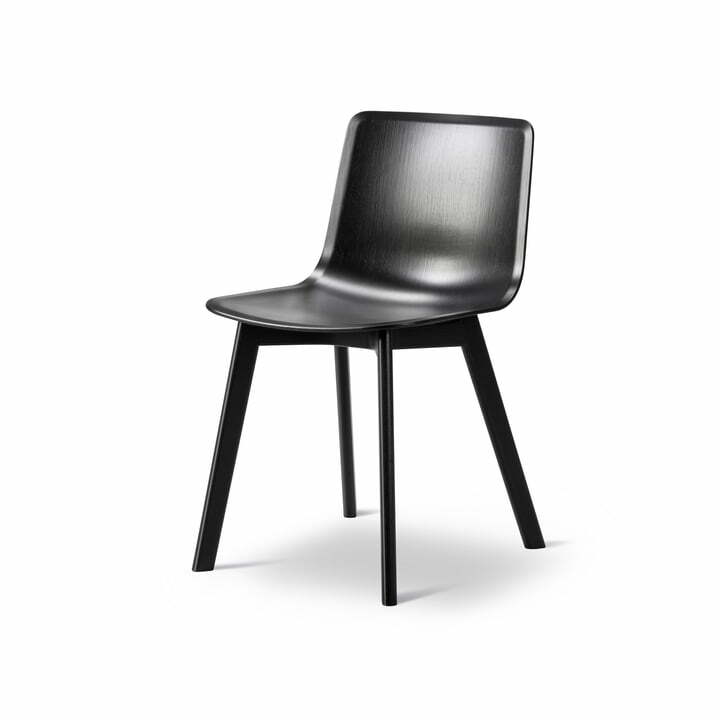 The Pato Chair (veneer / wood) by Fredericia in black lacquered oak. With the help of a 3D press, the seat shell out of oak veneer is shaped so that it is particularly ergonomic for the human back. Pato Chair (veneer / wood) by Fredericia in black lacquered oak The characteristic seat shell is extremely comfortable with beveled edges and a certain degree of flexibility in the backrest. Whether the Pato Chair is used as a dining table chair, office chair or in public places, it always impresses with its unobtrusive design and its ergonomic characteristics. 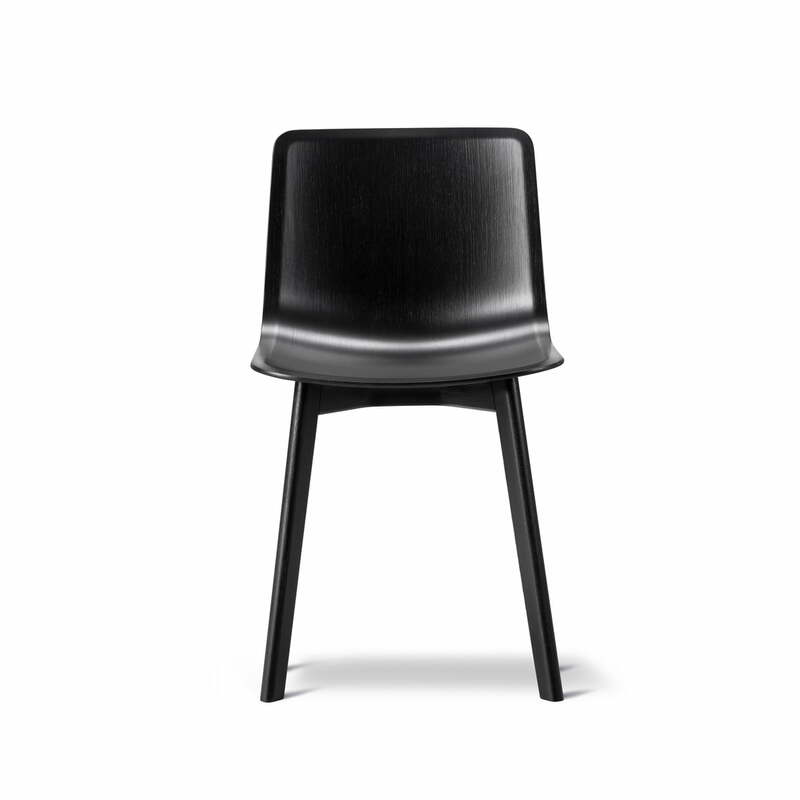 Due to its chamfered edges and the flexible backrest, the seat shell is especially ergonomic, so that it optimally adapts to the body contours and offers a high degree of comfort even during long periods of sitting.